Are you a little (or a lot) older than most of your training partners? 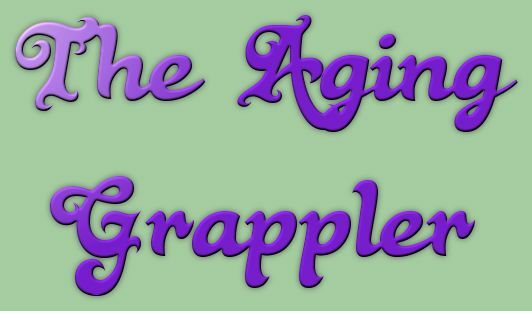 Today Gary and Byron speak from their experience and offer advice to the aging grapplers out their doing Brazilian Jiu-Jitsu. Byron pulls two pranks on Gary one that spans 5 episodes about Gary taking your back literally. The other is Byron saying song titles with the word time in them during the show. 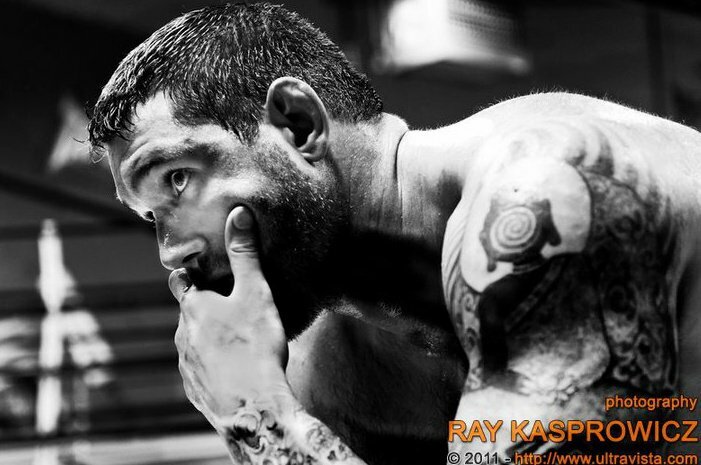 We are very excited to bring you an interview with a grappling legend. 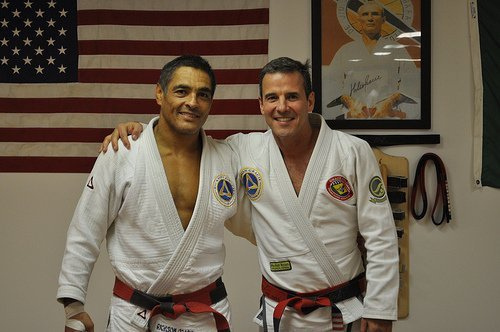 Pedro Sauer earned his Black Belt from Helio and Rickson Gracie in 1985. He now shares his over 40 years of experience on the mat. 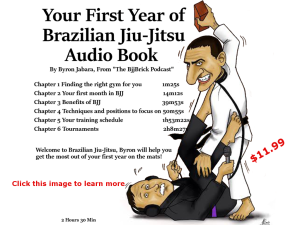 Joining the interview with Pedro Sauer is a past guest on The BjjBrick Podcast Brent Lillard. This week we have an interview with Second Degree Ribeiro Black Belt Matt Jubera. He as won pan ams multiple times in different divisions, he is currently running his school in Broomfield Colorado. Quote of the week:This week we have three quotes presented by Neil Melanson. 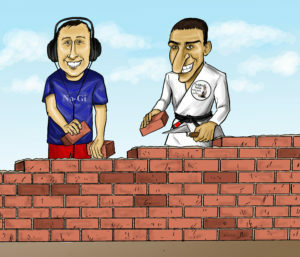 Article of the week: Are You Doing the Right Things Before and After BJJ? Having trouble passing the guard? Want to learn from one of the best in the world? Barnardo Faria has a DVD called The Pressure Passing Encyclopedia. 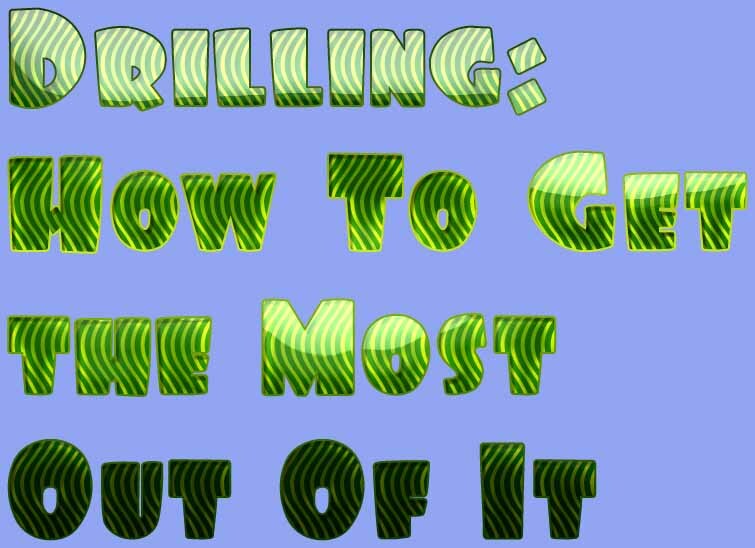 In this review I try to help you decide if it is the right DVD to help your BJJ get to the next level. 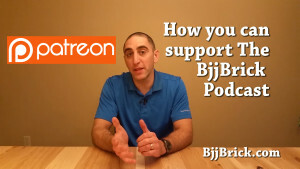 Are You Doing the Right Things Before and After BJJ? What you do before matters, what you do after makes a difference. 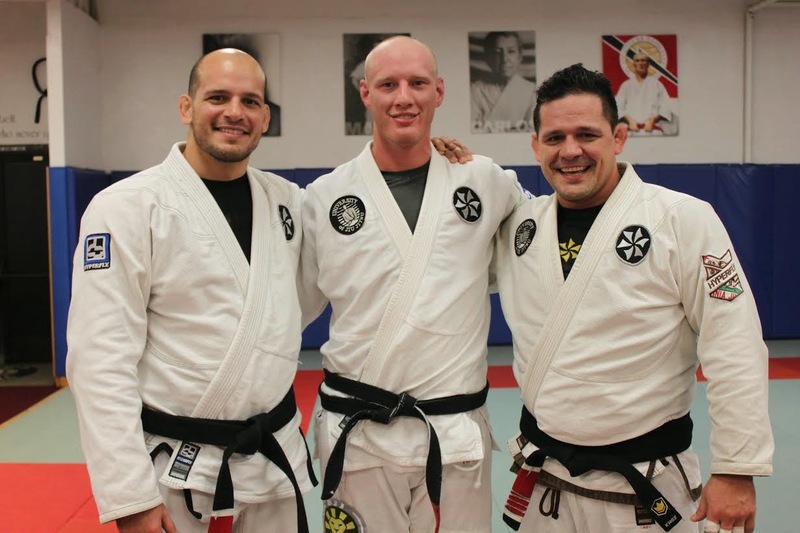 Tell me if this sounds familiar: It’s Tuesday, you know you go to jiu jitsu on Tuesdays, but you go about your day without giving jiu jitsu a second thought. It’s after work and you’re at home engaged in some mundane task and all of a sudden – “crap, I gotta be to class in 30 minutes”. So, you grab your bag, hit the road and get to the gym with just enough time to suit up, line up, and start class. After class, you rush home to finish up a work project, catch your favorite TV show, or engage in some other non-jiu jitsu related task. Been there? You’re not alone. But what if we treated jiu jitsu class like it was one of the most important appointments we had this week? What if we determined that, “I’m investing a good bit of time and money into this hobby, I’m going to do absolutely everything I can to get the most from my investment”? I propose that there are a few simple things we can do before class and after class to maximize the benefits we get from each training session. Here’s a few things you might consider doing before training to get the most out of each class. This is not meant to be an authoritative or all-inclusive list…. just some ideas that might be helpful. Ensure that you are well hydrated considering the water you will lose due to perspiration. This is first because ideally you will drink a little more water throughout the day. Drinking two additional 16 oz. bottles of water in the last hour before class will only result in a full stomach and a full bladder. If you are routinely adequately hydrated simply consider adding an additional 16 oz. bottle during the day. In anticipation of the additional calories you will burn, make sure you have consumed an adequate amount of fuel. I’m not a nutritionist and won’t offer any specific dietary advice, but I can’t state strongly enough how important it is for each athlete to do their own research and come up with a plan that works for them. For me the most important aspect of this is timing: If I eat anything substantial within two hours of class I feel bloated and slow, on the other hand, if it’s been more than 5 or 6 hours between my last meal and a training session I feel like the gas tank hits empty midway through class. So, I try to eat a full, well rounded meal 6 hours or so before class and a light snack 3 to 4 hours later. Engage in some pre-class mental preparation. If you had an important work meeting where you were required to give a report and would be expected to participate in a round table discussion wouldn’t you review your notes for your report and make sure you knew something about the topics for the round table discussion? My instructor puts out a monthly training schedule—we know a month in advance what positions we will be working from in every class. I take 10-15 minutes late in the day to watch a few tutorial videos on whatever position we will be working that day. If you keep a training journal or take notes, 15 minutes before class would be a good time to review them. Get to the gym early enough to do something productive before class. This will look different for each athlete. I’m older and my joints don’t work as good as they used to. For me an extra 10-15 minutes of stretching makes all the difference in the world. If you’re a 25-year-old competitor, maybe you need some higher intensity warm ups to be ready for class. If nothing else…. grab a partner and rep some techniques. And here’s a few things you might want to consider doing just after class to maximize the benefits from each class and prepare you for the next. Take a few minutes to stretch and reflect after class. Lately I have been noticing that many of the top guys I train with find a quiet corner somewhere to spend 15 minutes after class stretching out. Knowing these guys like I do, they’re not just stretching….they’re analyzing their performance and making mental notes so their next class will be more productive. Get some help/advice from your coach or training partners. After class is a great time to ask your coach for clarification on something he taught that night or to grab one of your training partners and say “hey, you seemed to sweep me really easily from ½ guard, you mind showing me what you did?”. Document and journal what you did and what you learned. Journaling is not for everyone, but if you do it—the sooner after class the better. Fuel and rehydrate. You should drink plenty of water during and after class and if you cannot get home and eat something right away consider taking a recovery shake with you. Address any injuries or aches and pains. If you didn’t tap soon enough to an armbar or foot lock, getting the joint iced and elevated ASAP and taking some anti-inflammatory meds can be the difference between taking one day off or needing to miss 3-4 days. You may be asking yourself how will making these changes to my pre and post training routine make a significant difference in my jiu jitsu game. The truth is, these types of changes can make a difference, but you won’t see the difference overnight. If you make improvements in your pre-training hydration and dietary practices you may find that you have enough energy to put an extra round of sparring in at the end of class—this won’t result in significant improvement over the course of a month or two…but over the course of a year, this will add up to hours and hours of additional sparring which will result in significant improvement. If you stretch and address aches and pains right after class you may find that you can make it to a few extra classes in a month and a few classes each month turns into 20-30 extra classes a year which will result in significant improvement. The key is: make incremental improvements, trust in the process, and be patient.